The Celestial Goldfish is a fancy breed of goldfish that has a double tail. Its strange, telescope eyes define this breed; the eyes appear as if they are looking upward from the body. 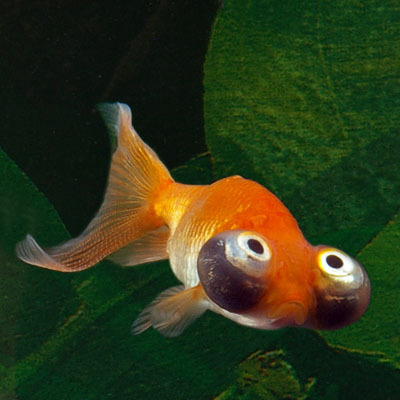 The Celestial Goldfish is a small species of goldfish; they do not have a dorsal fin, and their eyesight isn’t very good. Despite these problems this type of goldfish is very active, and are great swimmers. If you have this type of goldfish as a pet you will have to pay special attention to them to ensure that they do not damage their eyes; aside from this, this goldfish is very sensitive to cool water temperatures so it is important to make sure the water in your tank remains at a moderate temperature. Due to the fact that the Celestial Goldfish does not do well with aggressive fish, finding it difficult to compete for a share of the food, it is best to keep these fish in a separate tank if possible. It is especially important that you not have any sharp, ornamental objects in the tank that might injure the fish. Although Celestial Goldfish are still bred in China and Japan, if you live outside of Asia you may have some problem finding this breed of fish available in pet shops. 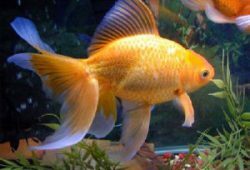 They are not usually stocked by local pet shops due to their fragile nature and the fact that they are not as popular as some other breeds of goldfish. If you want to buy this type of goldfish it may be necessary to special order them. The Celestial Goldfish had its beginnings in the 18th century when there was a mutation of the Telescope goldfish, and although there are different stories about where this happened there is a record of this fish being described in China. Although this type of fish did not begin in Japan, as they did not even show up in that country until after 1900, it quickly became the main place where these fish were bred. 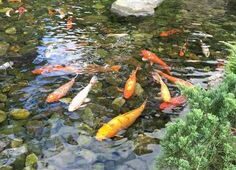 After World War II, China became the main exporters of these goldfish, though the United States as well as Great Britain also bred them in smaller quantities. The Celestial Goldfish come in a variety of colors, and with proper care they can grow as large as 5-inches long. Even though caring for this type of goldfish does require some extra attention, it isn’t too difficult of a task. This fish will eat flake food, as well as fresh and frozen fish food. Keeping your tank clean is also important for healthy fish; the Celestial will not tolerate a dirty tank as well as other types of goldfish because they are more delicate. Unlike hardier breeds that can be kept in an unfiltered and unheated bowl, this fish will need the same type of care that tropical fish varieties do. You will need to ensure that your tank gives them enough room to swim around, and is kept clean and warm. The shape of the tank is as important as the size; you will want a tank that provides a large surface area as apposed to a deep tank with less water surface area; this will ensure that your fish are getting a sufficient amount of oxygen. To determine the size of tank you will need, keep in mind that you can have about 1 inch of fish per gallon of water, but you have to remember that your fish will grow. 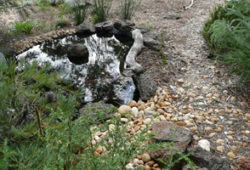 To accommodate the fish, as they get older it is advisable to have five gallons of water for every one inch of fish. You should have about 7 Celestial Goldfish in a 35-gallon tank. You can keep more than this in the tank when they are younger, but will likely have to move some to a new tank as they grow.